Ford is not responsible for covering the failure of authorised dealer supplied parts where such failure, in Ford's opinion has been caused by installation which does not follow Ford's repair instructions. 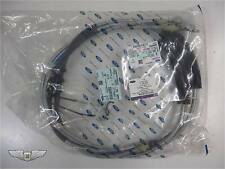 Part Number Finis Code :5041276. Fitting Position: Rear; Braking / Drive Dynamics: for vehicles with ABS; Brake Type: Disc/Drum. Function Cable, parking brake. FORD 1 357 772 1357772 4 539 859 4539859. FORD TOURNEO CONNECT 1.8 16V MPV Petrol 06/2002 12/2013 FWD 16 116 85. Function Cable, parking brake. Fitting Position: Rear; Braking / Drive Dynamics: for vehicles without ABS; Brake Type: Disc/Drum. FORD 4 539 856 4539856. FORD TOURNEO CONNECT 1.8 16V MPV Petrol 06/2002 12/2013 FWD 16 116 85. YC152-A635-BH, YC152-A635-BJ, 4457990, 4654291. 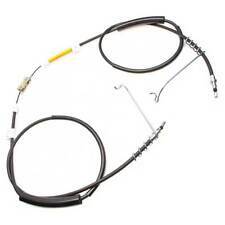 Rear Side / Driver Side - Rear Twin Wheel Handbrake Cable . OEM NUMBERS. Function Cable, parking brake. Model year to: 08/2006; Fitting Position: Rear; Brake System: for vehicles with disc brakes on the rear axle. FORD 1357870, 2T142A603DG, 4439347, 4480913, 4539860. Model year to: 08/2006; Fitting Position: Rear; Wheelbase: Long Wheelbase; Brake System: for vehicles with disc brakes on the rear axle. FORD YC152A793CE. FORD 4060872. FORD 4041993. LENGTH : 1590mm. Function Cable, parking brake. Model year to: 08/2006; Fitting Position: Rear; Wheelbase: Short Wheelbase; Brake System: for vehicles with disc brakes on the rear axle. FORD 1357772, 1475244, 4367116, 4388054, 4407359, 4419302, 4439345, 4480912, 4539859. FORD 4987625. Function Cable, parking brake. FORD TOURNEO CONNECT 1.8 TDCi MPV Diesel 06/2002 12/2013 FWD 8 90 66. FORD TOURNEO CONNECT 1.8 16V MPV Petrol 06/2002 12/2013 FWD 16 116 85. FORD TOURNEO CONNECT 1.8 TDCi MPV Diesel 08/2006 12/2013 FWD 8 110 81. Function Cable, parking brake. Model year to: 08/2006; Fitting Position: Rear; Brake System: for vehicles with drum brakes on the rear axle. FORD 1357828, 2T142A603BG, 4367115, 4439343, 4539858, 5135365, 7T162A603BD. Function Cable, parking brake. Model year to: 08/2006; Fitting Position: Rear; Wheelbase: Short Wheelbase; Brake System: for vehicles with drum brakes on the rear axle. FORD 2T142A603AG, 4439339, 4539856. Handbrake Cables. Bonnet Latch. Head Bolts. Main Bearings. Front Covers. Big End Bearings. FRONT SECTION. Throttle Body. Function Cable, parking brake. FORD 1 357 870 1357870 4 539 860 4539860. FORD TOURNEO CONNECT 1.8 TDCi MPV Diesel 06/2002 12/2013 FWD 8 90 66. FORD TOURNEO CONNECT 1.8 16V MPV Petrol 06/2002 12/2013 FWD 16 116 85. Function Cable, parking brake. Model year from: 08/2006; Fitting Position: Rear; Brake System: for vehicles with drum brakes on the rear axle. Fitting Position: Rear; Brake System: for vehicles with drum brakes on the rear axle. THROTTLE CABLE / ACCELERATOR ASSEMBLY. FORD 4041992, 4060871. Fitting Position: Centre; Wheelbase: Centre Wheelbase. Function Cable, parking brake. Fitting Position: Centre; Body Type: Bus; Body Type: Box; Wheelbase: Centre Wheelbase. Cross references. FORD 5041276. Function Cable, parking brake. Cross references. FIRST LINE FKB3157. Fitting Position: Front; Model year to: 04/2009. Function Cable, parking brake. Fitting Position: Left Rear; Tyres: with single tyres; Brake Type: Drum Brake. FORD 4331044. Cross references. Fitting Position: Left Rear; Tyres: with single tyres; Brake Type: Disc/Drum. FORD 5030151. Fitting Position: Rear; Wheelbase: for extended wheelbase; Braking / Drive Dynamics: for vehicles with ABS. Function Cable, parking brake. FORD TOURNEO CONNECT 1.8 16V MPV Petrol 06/2002 12/2013 FWD 16 116 85. REAR RIGHT BRAKE CABLE TO FIT. 4331041 FORD OE CLEARANCE PARTS. Function Cable, parking brake. Model year from: 08/2006; Fitting Position: Rear; Brake System: for vehicles with disc brakes on the rear axle. Fitting Position: Rear; Brake System: for vehicles with disc brakes on the rear axle. SUCH AS COLOUR FADE OR SMALL SCRATCHES. With a great range of car care and accessories to see you through all seasons. 50 years of experience to help and guide you through your enquiry. We have a vast knowledge of car spares at Wilco Direct. Function Cable, parking brake. Fitting Position: Right Rear; Brake Type: Drum Brake. FORD 1494893. Cross references. FIRST LINE FKB2748. Function Cable, parking brake. Model year from: 08/2006; Model year to: 10/2008; Fitting Position: Rear; Wheelbase: Short Wheelbase; Brake System: for vehicles with drum brakes on the rear axle. Model year from: 08/2006; Fitting Position: Rear; Wheelbase: Short Wheelbase; Brake System: for vehicles with drum brakes on the rear axle. REAR RIGHT HANDBRAKE PARKING CABLE. Fitting Position: Rear; Quantity required: 1; Braking / Drive Dynamics: for vehicles with ABS. Function Cable, parking brake. FORD 5030150. Cross references. FIRST LINE FKB3309. Function Cable, parking brake. Model year from: 08/2006; Model year to: 10/2008; Fitting Position: Rear; Wheelbase: Short Wheelbase; Brake System: for vehicles with disc brakes on the rear axle. Model year from: 08/2006; Fitting Position: Rear; Wheelbase: Short Wheelbase; Brake System: for vehicles with disc brakes on the rear axle. Function Cable, parking brake. Model year to: 08/2006; Fitting Position: Rear; Brake System: for vehicles with drum brakes on the rear axle. Model year to: 08/2006; Fitting Position: Rear; Wheelbase: Long Wheelbase; Brake System: for vehicles with drum brakes on the rear axle. Function Cable, parking brake. Fitting Position: Left Rear; Brake Type: Drum Brake. FORD 4519422. Cross references. FIRST LINE FKB 2747, FKB 2749. 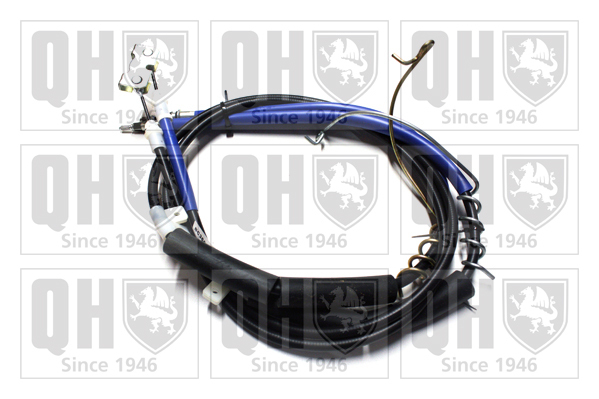 Car Parts - QH. Total Quality is assured via ISO14001.1996 and ISO9001.2000 certification on all brake discs. Shake & Shine. Exterior Cleaning. Wash Cloths & Accessories. Exterior Accessories. Interior Cleaning. Function Cable, parking brake. FORD 2T142853AA 5041276. FORD TOURNEO CONNECT 1.8 16V MPV Petrol 06/2002 12/2013 FWD 16 116 85. FORD TOURNEO CONNECT 1.8 TDCi MPV Diesel 06/2002 12/2013 FWD 8 90 66. FORD TOURNEO CONNECT 1.8 TDCi MPV Diesel 08/2006 12/2013 FWD 8 110 81. Handbrake Cables. Exhaust Valves. Bonnet Latch. Head Bolts. Big End Bearings. Front Covers. ADD TO FAVOURITES. SINGLE REAR WHEEL ONLY. Handbrake Cables. Bonnet Latch. Head Bolts. Big End Bearings. Front Covers. ADD TO FAVOURITES. Jack Handles. Fuel Pump Solenoids. Function Cable, parking brake. Model year to: 08/2006; Fitting Position: Rear; Wheelbase: Short Wheelbase; Brake System: for vehicles with disc brakes on the rear axle. FORD 1357772 1475244 4367116 4388054 4407359 4419302 4439345 4480912 4539859. FORD 4041447. Function Cable, parking brake. Cross references. Fitting Position: Front; Driver Position: for right-hand drive vehicles. FIRST LINE FKB 2505. We just want you and your car to be happy! FORD 1475243. FORD 1516244. You'll have the part ASAP. Eg, Vetech, Erst Klassig, Franzen, NK, etc. We will always attempt to rectify the issue as fast as possible! Function Cable, parking brake. Cross references. Fitting Position: Front; Driver Position: for left-hand drive vehicles. FIRST LINE FKB3619. Model year from: 04/2001; Fitting Position: Front; Driver Position: for left-hand drive vehicles.